Due to my Father and my husbnd's professions I travelled half of the world, slept in the best hotels and ate at the best reaturants. I was educated in Belgium, Seoudi Arabia, Lebanon and finished my education in Boarding School in Geneva, Switzerland, always in French Schools. I am Turkish but as my Father was a diplomat, lived very little in Turkey, mostly on vacation. Worked in Fashion and then became a Yoga and Meditation Teacher after marrying a second time my American husband. As my daughters live in London and my son in Madrid, I regularly go to see them. I try to go to Turkey every other year. 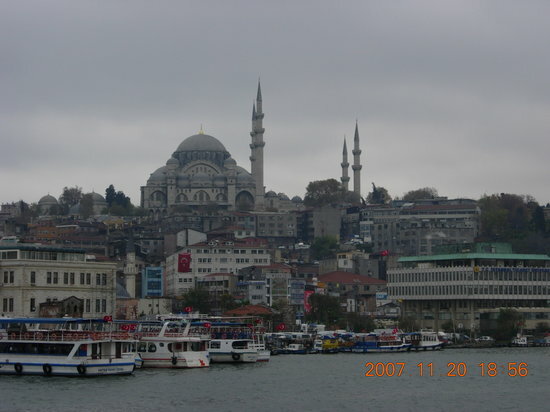 Istanbul is one of my favorite place so is the Turkish coast. I also have a sister in Chile, a country where I lived for seven years as my first husband was Chilean. I try to go at least every other Christmas to Santiago where she lives as New Jersey is freezing and it is Summer in Chile! When there we always plan to see something new in Chile. I love Chile, it is a beautiful! 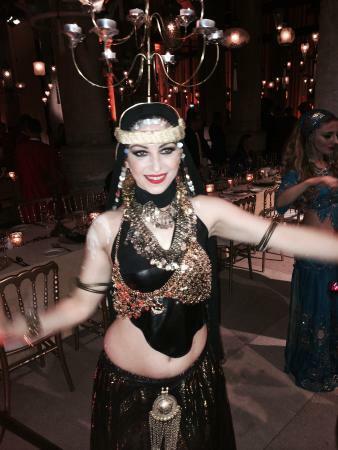 I am a proud Turk who spent most of her life abroad as my Father was a Diplomat and my husband a foreigner. Went to boarding school in Switzerland then lived all over the world. 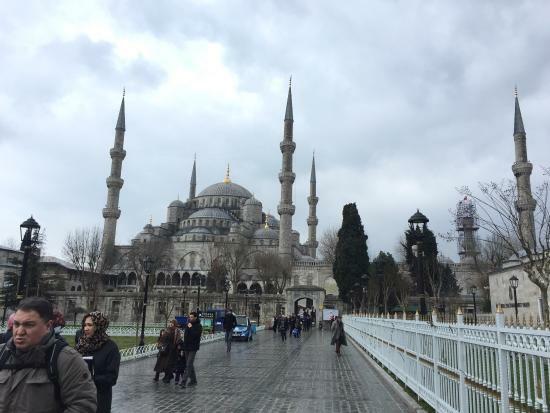 From boarding school on I brought friends and family to Istanbul, sharing my passion for this unique city. 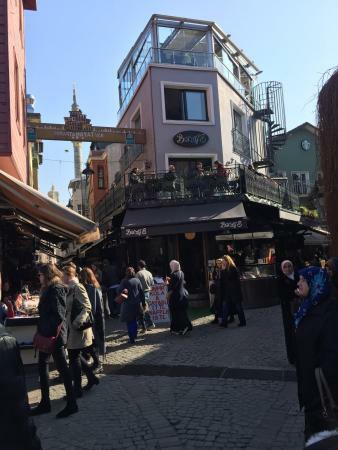 I soon learned the art of showing the best without giving an art and architecture indigestion and include both sigh seeing, shopping, enjoying the amazing Turkish food and also having time for quiet peace and contemplation. I strongly suggest you stay in a typical little village like Çengelköy, where you will have a feel of how Turks live, mingle with the locals at the caffés and have delicious food. I suggest to stay at the Sumahan-on-the-Water, where after an exhausting day of sight-seeing you will relax being ON the Bosphorus. 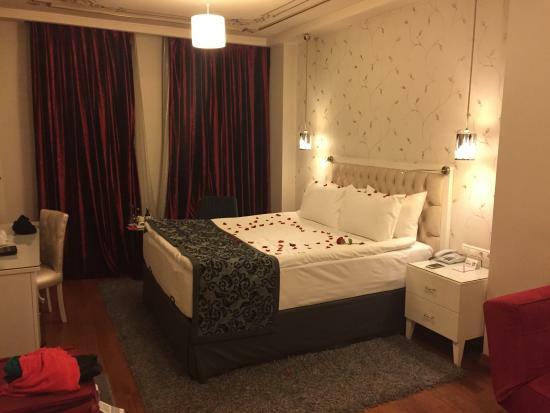 This lovely Zen Boutique Hotel will invite you to feel peaceful. 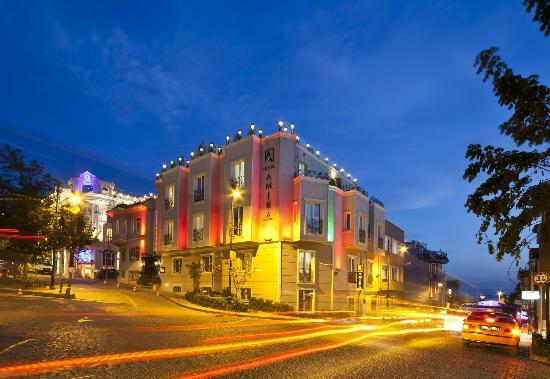 Their restaurant next door, Tapasuma, with amazing Turkish Cuisine will save you time and energy to find a restaurant and once again you will eat by the Bosphorus with the breeze caressing you. 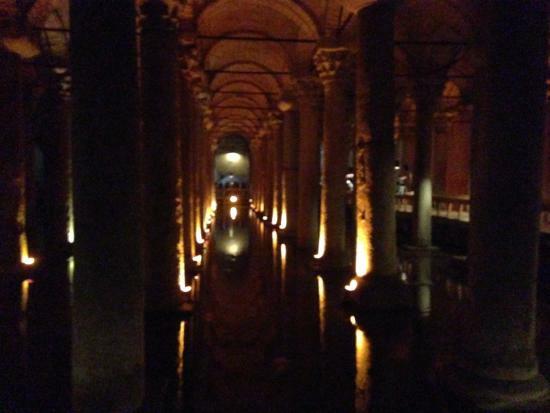 If you feel too tired you can always use the private Turkish Bath with all the Spa treatments you can dream of. 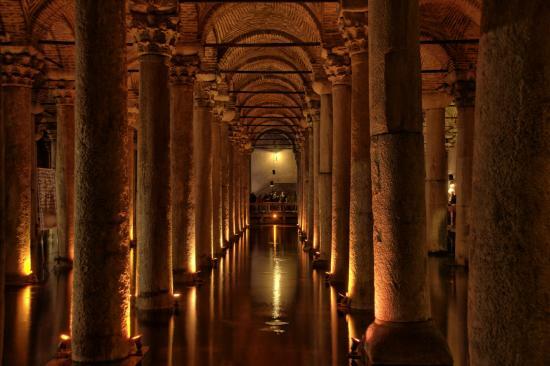 First day, start with The Blue Mosque, then cross over the street and visit the Bin Bir Direk or Roman Aqueduct, walk a little further and visit Santa Sophia, do rent a recorder that will tell you all about this amazing basilica. 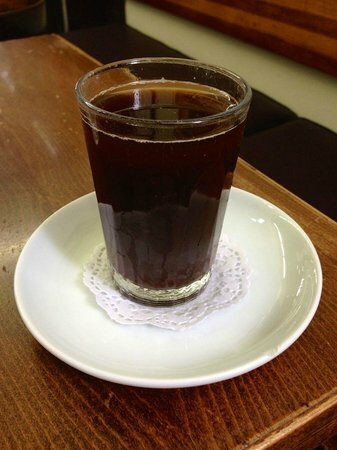 After, rest at the Santa Sophia coffe house and have a Turkish Tea, it also has a great shop for cards, books and souvenirs, not too expensive as it is managed by the Government. Now you have two choices, go on or return to your hotel, have a siesta or a massage and enjoy your dinner at Tapasuma. 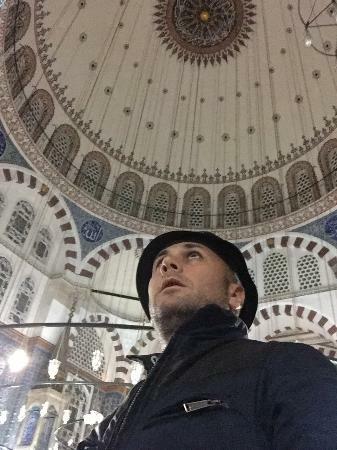 So whether you go on or do it the next day, walk behind Santa Sophia, admiring the old houses and the fountain until you reach Topkapi, or the Serail. There I suggest you buy the Guide Book as there is so much to see. 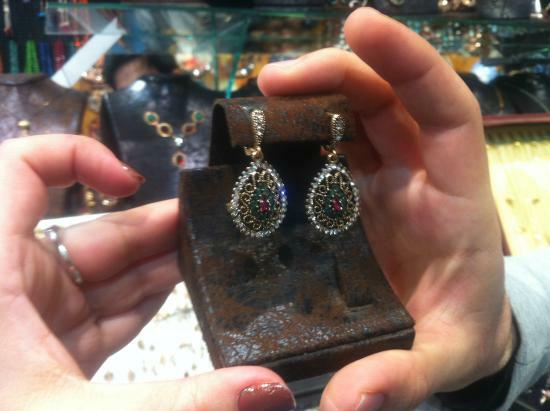 Do not miss the Harem, and the amazing jewels. 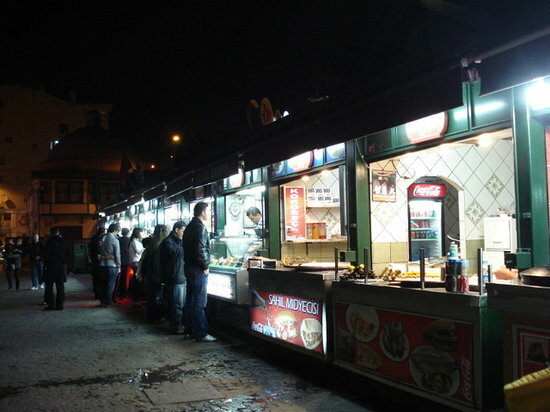 You can eat the the restaurant at Topkapi, the view is amazing and the food good or you can retrace your steps, cross the road next to the Blue Mosq and have the most amazing Köfte of your life. If you are American you will never eat another hamburger! 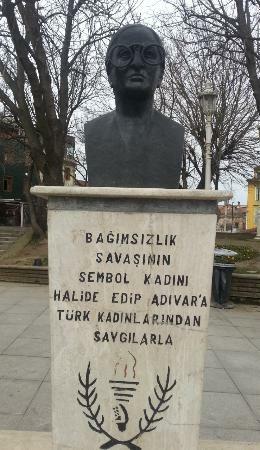 The name is Sultan Ahmet Köftecisi (near the hotel). 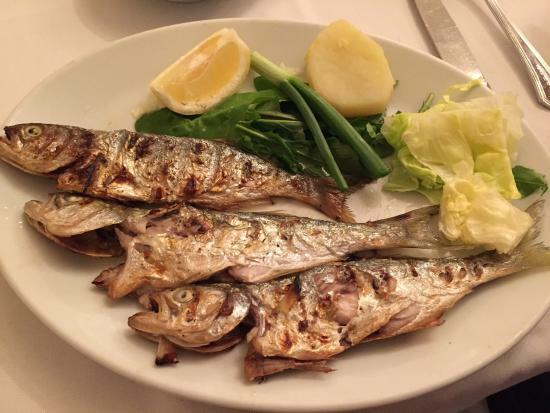 If you were courageous and did it the same day and you want to have dinner in the vicinity, walk down the old town, ask your way, Turkish people are most hospitable and helpful and go to Balikci Sabahattin (Cankurtaran/Sültanahmet) and have the best fish you ever had! If it is Lüfer time, order Lüfer! 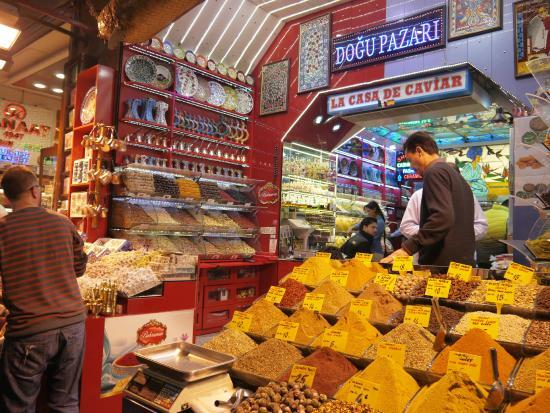 Next day, I suggest you go to Misir Çarsisi (Spice Market) and shop for spice, Olive Soaps, Rose and Jasmine Oils and the best Saffron money can buy! From there walk up the road to my favorite Mosque, not many people know of but has the most amazing Iznik Mosaics and ornaments: Rüstem Pasa Mosque, take your time to admire the Iznik and maybe meditate. Hungry? One of the most famous and old restaurant of Istanbul is there: Pandeli, specialist in Ottoman Cuisine where all the diplomats and politicians discussed the future of Turkey! Next day, Kapali Çarsi or the Bazar as the tourists call it (hate that word!) 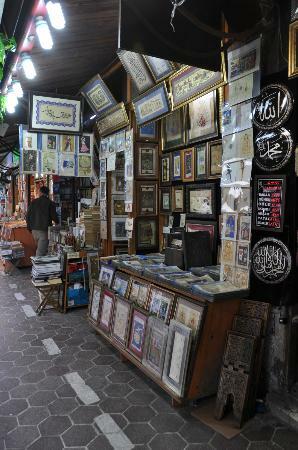 don't miss the best part, the Antiquity Street where you might find Ottoman Jewelry and silver. 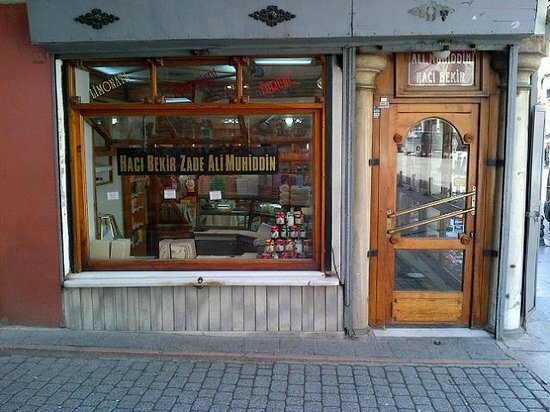 Have lunch there at one of the best restaurant of Ottoman food: Havuzlu (Gani Çelebi Sokak No 3 - near the Post Office). 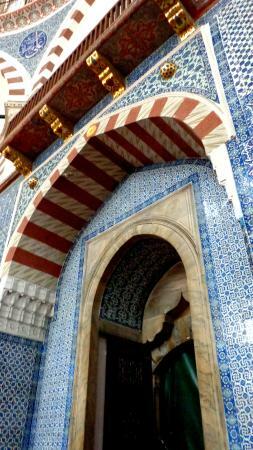 From there walk to another not to be missed Mosque: Sülemaniye. 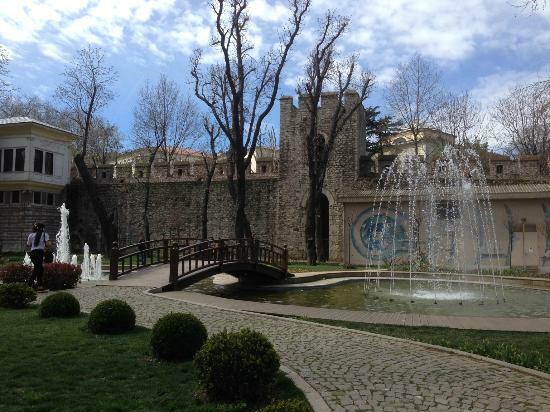 Don't miss the tumb of Süleyman the Magnificent and his wife Hürrem or Roxelane. 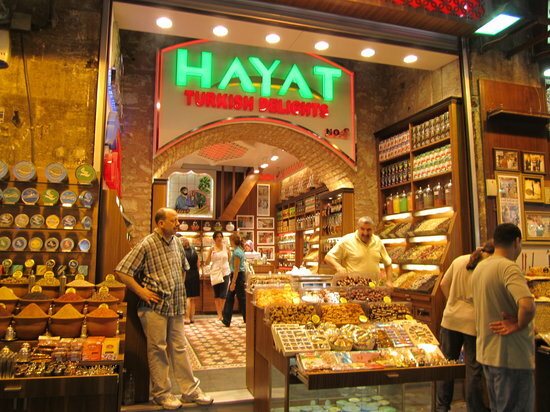 If you are still hungry there is another amazing Ottoman Restaurant nearby, Darruziyafe. 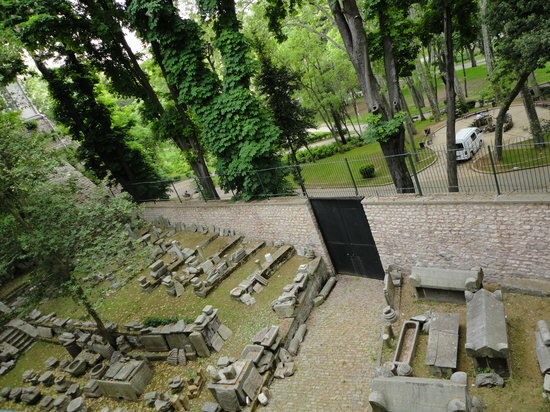 All you have to do is cross the garden of Sülemaniye, exit the garden fer forgé door and across the street is the restaurant. 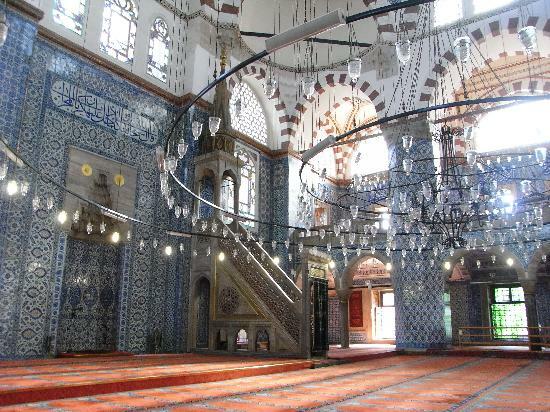 Next day, so that is your day 4 or 5 take the ferry and go to Eyüp Sultan, an little typical village of Pilgrimage as a Saint is buried by the Mosque of Eyüp Sultan. 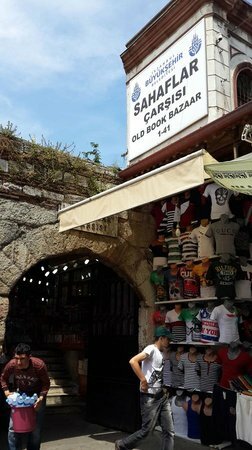 Great little roads with lovely shops, good place to buy not expensive Turkish Oya Scarves, Pashmina Shawls, Rose and Jasmine Oils and other souvenirs. But the best is yet to come walk don't take the funiculaire unless you are handicapped, it is steep but it is well worth while, you will walk through an old cemetery, beautiful old Cypress Trees and amazing views. If you are interested in Sufism, there is a old Tekke the Dervish in attendance will be happy to show you around. 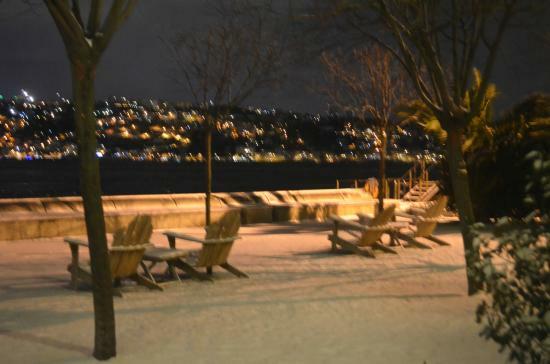 At the end of your walk is the Pierre Loti Café with its amazing view, rest, and take in the beauty of the Golden Horn. If you are hungry I suggest you only have tea at Pierre Loti, walk up to the restaurant at the top and have a great lunch or dinner. By the way the sun set from there are amazing. 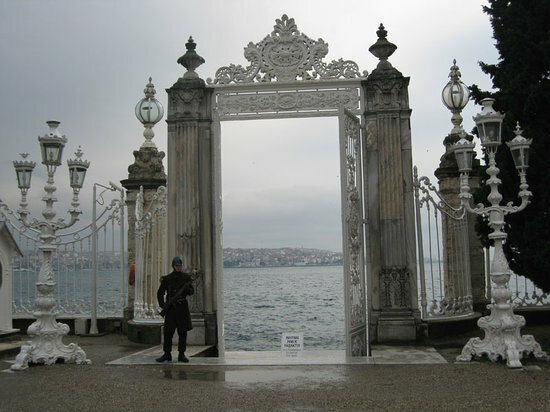 Next day take the ferry or rent your own boat and do the tour of the Bosphorus, the Yalis (old mansions by the water) are amazing. 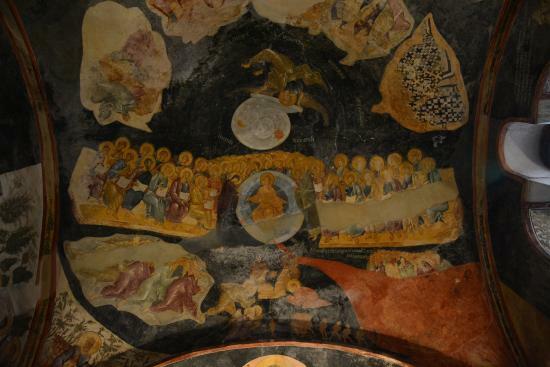 If you have another day, do go to the Church of Kariye or Kariye Museum, another Byzantine Basilica in my opinion had more beautiful mosaïcs than Santa Sophia. 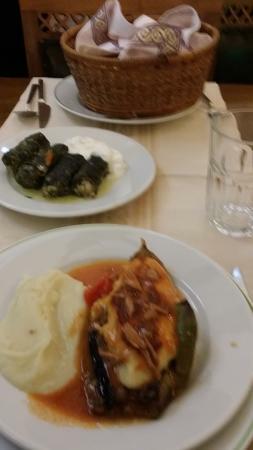 There don't miss the fantastic Ottoman restaurant Asitane. You have another day, lucky you, take the ferry and go to the Princess Island, get on a Horse Carriage (cars are forbidden) and tour the Island. 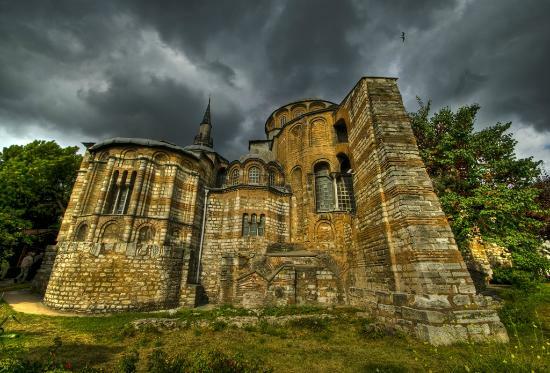 At the top do visit the old Greek Orthodox Church and Convent, the view is breath taking. Back down have lunch in one of the many Fish Restaurants, they are all good. Still in Istanbul don't miss Dolmabahçe, more modern residence of our Sutlans, but most importantly where Atatürk passed on. 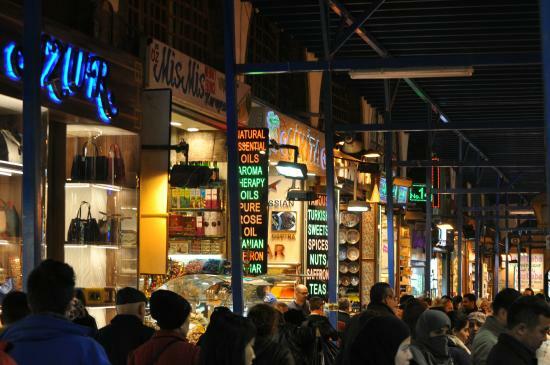 From there go to Ortaköy, where you will be entertained by multiple boutiques, a shoppers paradise. 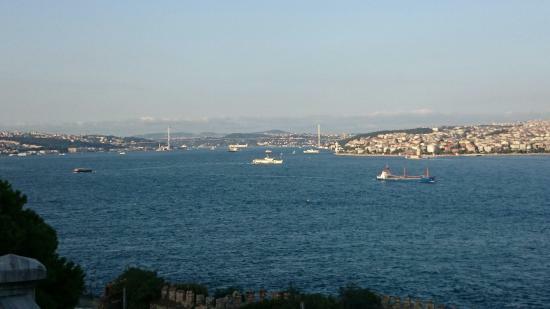 Art Galleries and great little restaurants by the Bosphorus, they are all good. 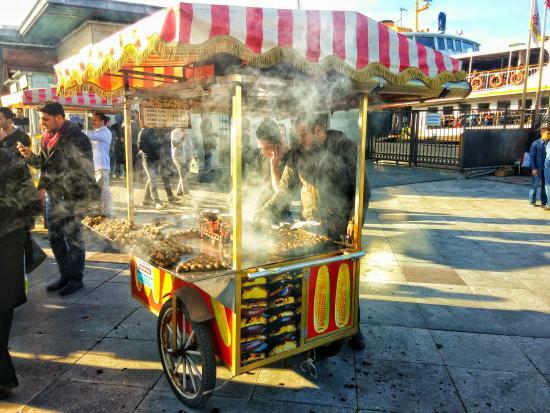 I like to eat the Turkish Stuffed Potatoes and other Turkish Street foods and eat it on the benched by the water, you will "feel" very Turkish, very local! 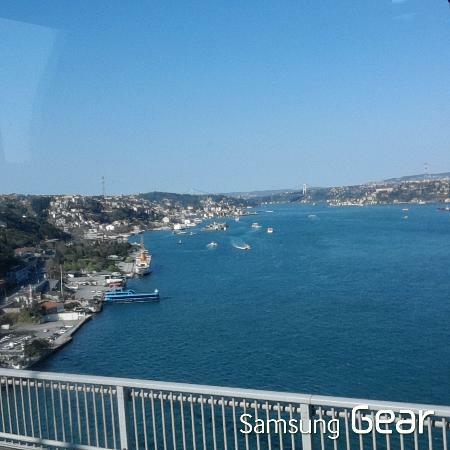 Is there more to see, of course but these are the main things, if you are staying longer you have Bebek, Emirgan, Tarabya and further away on the Black Sea Kilyos. 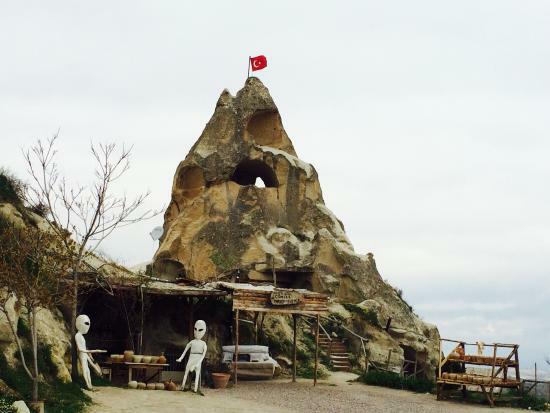 But if you have the time and the energy I suggest you go to Cappadocia, and or Bodrum, Alaçati, Konya, Fethiye, really anywhere along the Sea of Marmara. Bon Voyage... Enjoy! I always carry in my handbag a scarf and a long sleeve cardigan to wear at Mosques. Pants are OK, shorts and mini skirts are not. Tipping 15% or 20% if you are very happy is the norm. 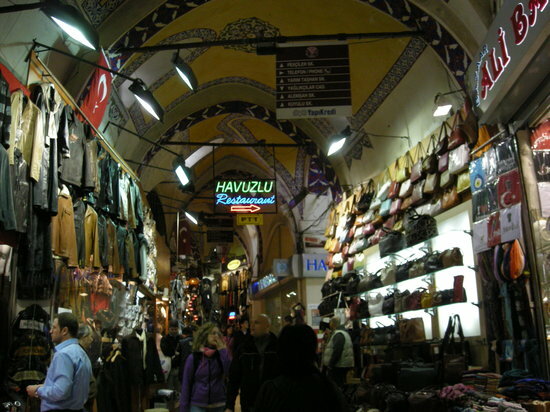 Haggling in Kapaliçarsi (the Bazar, I still hate that word!) is the norm, I usally offer half and work my way up. Accepting tea, coffee and sweets in the shops you are buying is customary. The tramways, overground and underground are safe and good, use it. If you are a woman alone don't go to unlit streets and don't accept a ride from men. I personally would not go out at night without an man. And would tell any man to leave alone during the day. Like any big city keep your handbag and yourself secure. 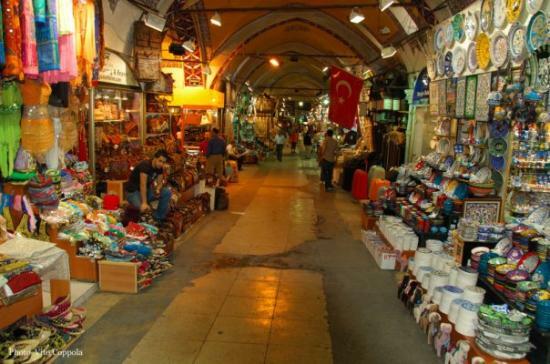 Don't miss it, especially the Antiquity Street and the Havuzlu Restaurant! Every street is dedicated to one speciality. The street of the gold, the leather goods, the lamps, the towels. I do suggest you get the plan in the entrance and decide early what you want to see and buy! 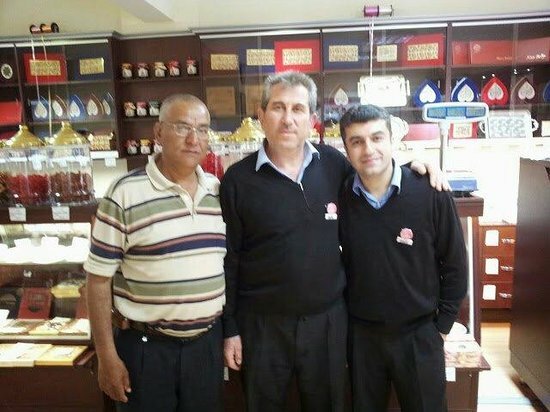 Haggle, go early and accept tea, coffee and sweets with a smile. Take a lot of cash with you, you will.get a better.price. 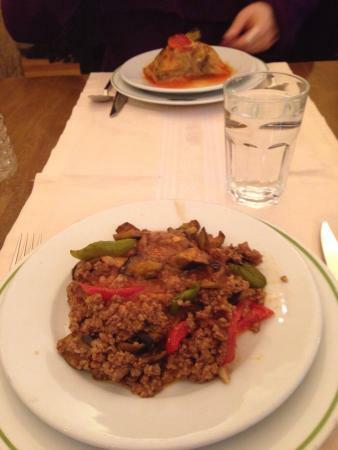 Best Ottoman Cuisine! 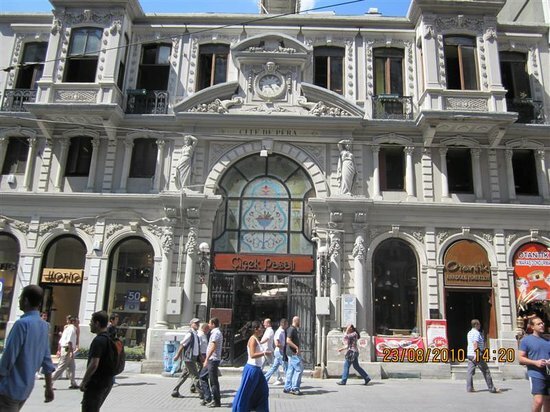 It is as old as Kapaloçarsi, I used to go there with my Father in 1950 and it has hardly changed! Know for the best kebabs and deserts. You go in look through thr glassed buffet and order what you want. Just looking there you get hungry! Love all Eggplant dishes! Mezes are great and leave a a lot of space for the m'a zing deserts! 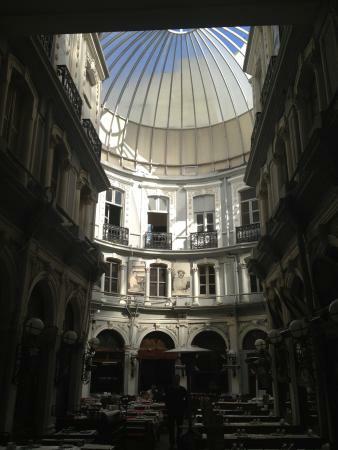 Great Hotel if you want to be in the Old Town! I have not stayed there but very good friends of mine did and they loved it? It has its own restaurant, bar and the terrace is a great place to have breakfast and tea. Great view at the top terrace! The sunset is amazing! 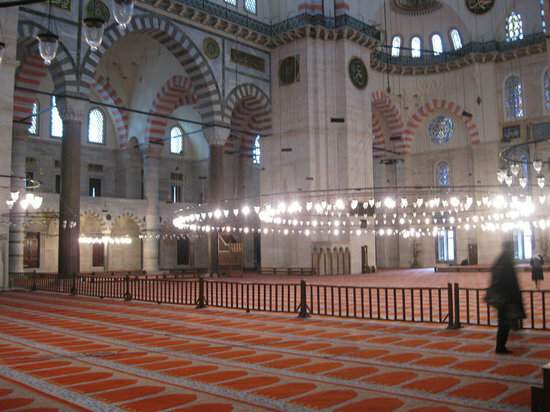 You can hear the many calls to prayer, it is like a symphony! 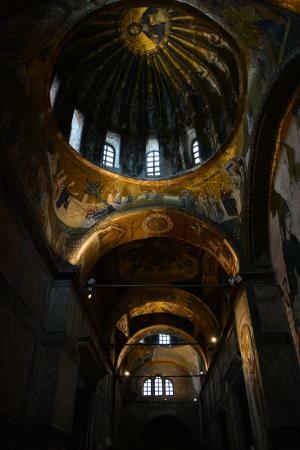 For me the mosaïcs are more beautiful than Santa Sophia! It has been better protected than Santa Sophia as I believe they did not white wash it! Great restaurant near by! Also out of the old town, it takes you to a complete different part of Istanbul. Great to walk and take the scenery! So much to see an take in. History at every corner of the streets. Just walk and get lost and discover. Take a scarf and a long sleeve sweater to visit mosques. Don't wear shorts, mini skirts or big décolleté. 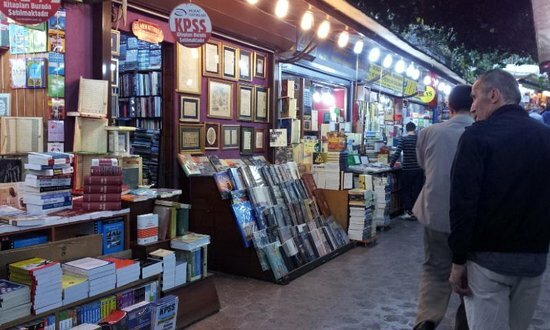 In Kapaçarsi, the book street. Great finds of old manuscripts, calligraphy (Tezhip), Sufi paintings and old maps. This part of the market is not covered and is very special. You can haggle. If you are interested in Sufism, most owners are Dervishes or Dedes (part of the Sufi Monastic Order) if they feel comfortable they have great wisdom to share. Also if you are rarely interested ask to see more precious items which are usually kept in the back of the shops or in the safe! Fabulous way to spend a day by taking the ferry or renting a private Tekne (Turkish Old boat). Yiu can have lunch on board. If you rent your own you can order what you want, I suggest Mezes and Böreks! It can be windy take a Pashmina or a cardigan. 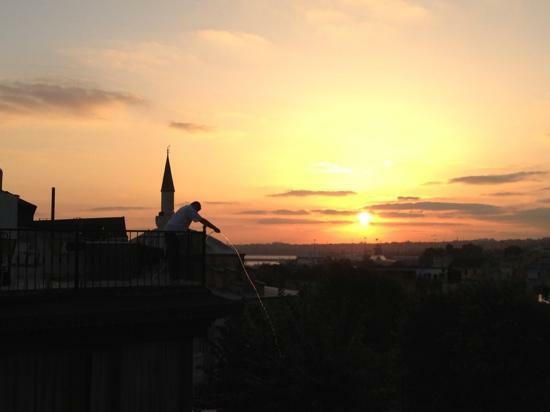 I love taking these trip at 6 PM or later to see the Sun set on thr Bosphorus. 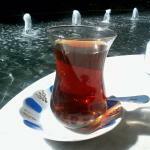 Enjoy our national drink: Raki! 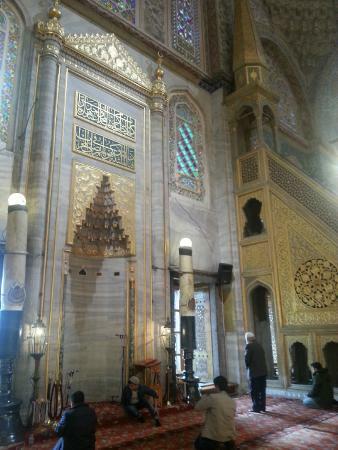 One of the most majestic mosque. 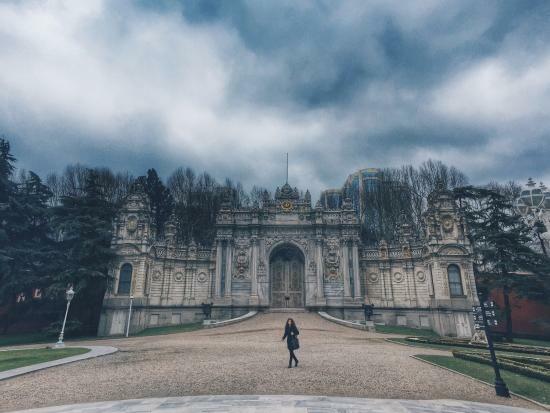 Don't miss the tumb of Süleymanthe Magnificent and Hürrem Sultan or Roxelane. Lovely garden. Head and arm covered. No shorts or mini skirts. Great restaurant at the back! Amazing place for foodies and shoppers. Sweets, spices, Rose and Jasmine Oils. Best Saffron money can buy! 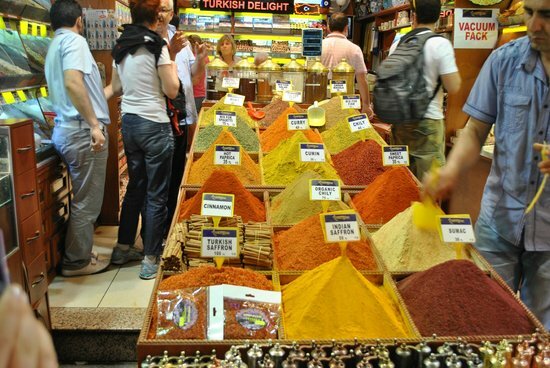 Don't miss buying Köfte Spice mixture, delicious! Wear comfortable shoes! Take cash so you can haggle! Be ready to drink a lot of tea and or coffee and sweets too! My favorite Boutique Hotel in the world. 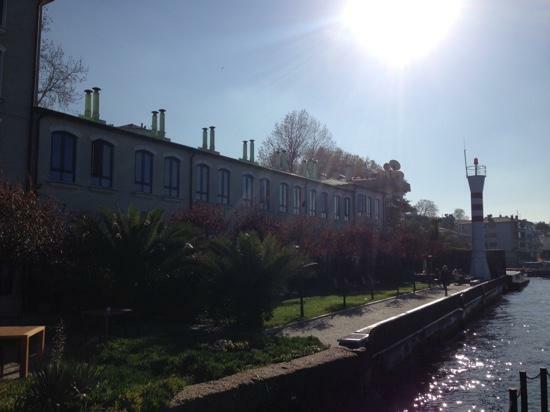 It is on the Bosphorus, only 42 rooms. Amazing service. Great Turkish Bath with Spa. Lovely restaurant called Tapasuma. In a lovely typical village. Every room has an amazing view. Peaceful and beautiful. I wouldn't go anywhere else. Has a little boat that takes you to the European side. Don't miss having a Turkish Bath and a massage by thr amazing Asuman. The higher the rooms the better the view. 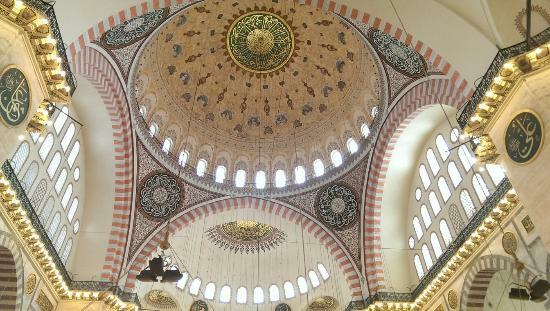 My favorite mosque with the most beautiful Izniks. Rüstem Pasa was the Vizir of Süleyman the Magnificent, he had many sins and had this mosque built to be forgiven in the afterlife! Head scarves, cardigan, no mini skirts, no shorts. Best lokums. A historic place for sweets. The amazing piles of different sweets will overwhelm you. You will want to try each one and they will let you do that also! I love the Rose and Pistachios Lokums. You should try the sweets made of pure spun sugar! 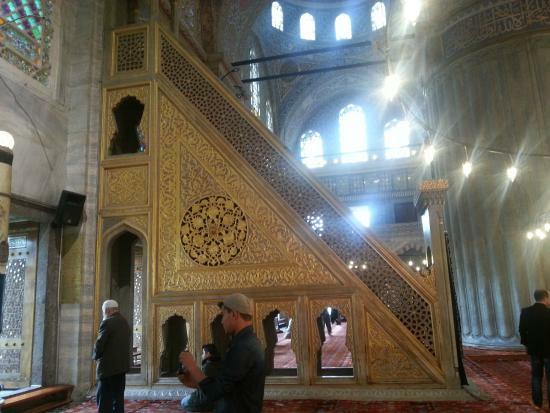 I don't know anybody who has been to Istanbul without seeing this amazing mosque. 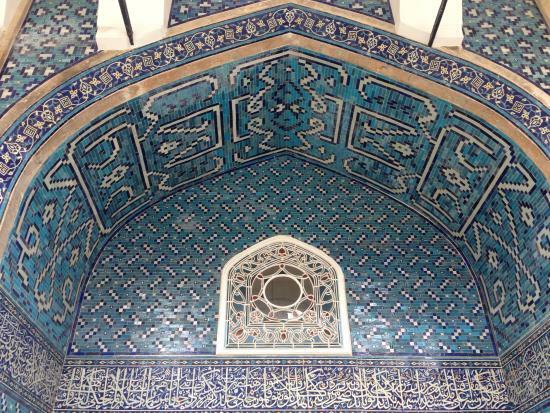 The sheer magnitude of the dome, the lighting and the blue emanating from the tile s are breathtaking. Head scarf, no shorts, no minis. Don't go at prayer times. Amazing place. Don't miss the upside down Medusa. Admire the Carps! Most people have their pictures taken at the entrance with Ottoman clothes, don't! Great place to go and stay ther for a while when it is too hot outside! Don't miss Eyüp Sultan Mosque, the Saint's tumb, walking through the village of Eyüp, having ice cream, shopping, walking up through old Ottoman cemetery to Pierre Loti Cafe. 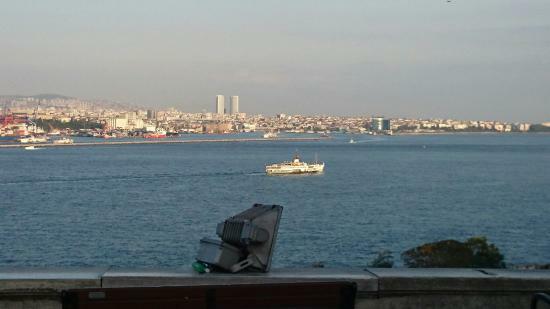 Taking in the amazing view of the Golden Horn. Stoping at the Sufi Monastery. It will take the whole day. 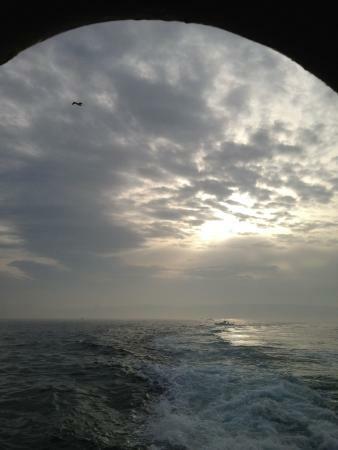 Go by ferry. Wear hiking shoes. 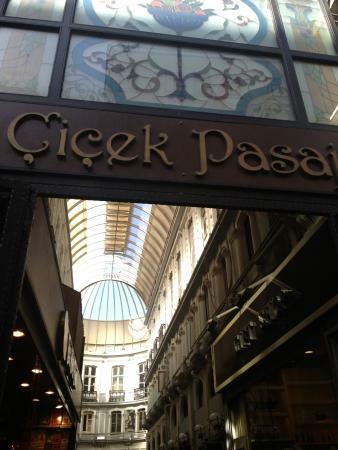 Great place to shop for Tukish Oya Scarves and Pashminas, Rose and Jasmine Oils. 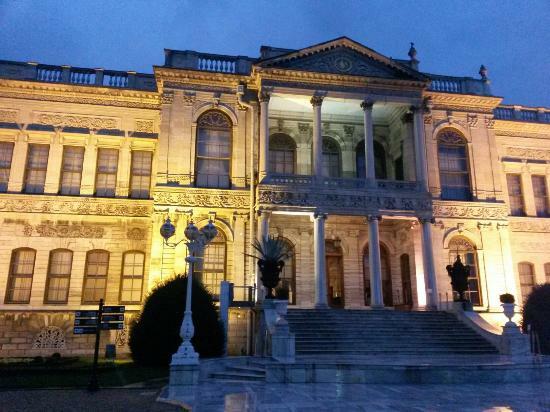 The modern palace of our Sultans, but more interestingly the place Atatürk passed on. Too Rococo for me but the gardens and the view is great. Most impressive is the huge marble door! Great view! The gardens and the fountains are gorgeous. Love this place, so much fun. Great boutique and Art galleries. Great street food and also fish restaurants and wonderful view. I would suggest to go on a week day. Comfortable shoes! Enjoy the street food! Boutiques are expensive, no haggling there, but you will find very unique things. In all honest I will not comment about this Museum as I have never visited it! 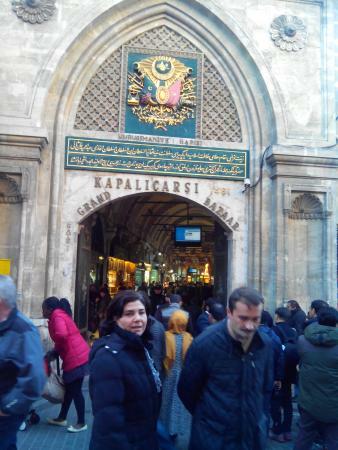 You see with hundred and hundreds of visit to Istanbul I still missed something! Next time, Insallah! 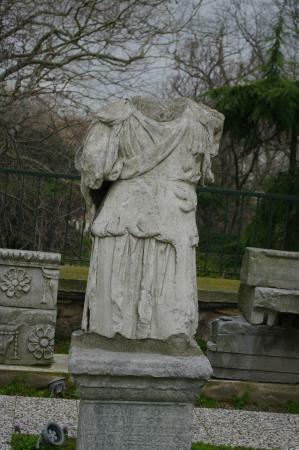 Now that I think of it I went to the sites instead if the Museum: Ephesus, Pergamum, Dideme and the like. Don't know anything about this museum so no comments. 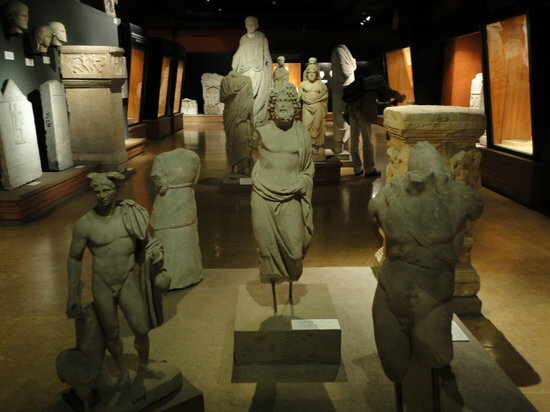 Like all museums I would suggest to go early and during week days! Oops, another place I have never been to! I guess it is for my next visit! How did I miss this? One tends to go and see over and over the same place. I will visit it on my next trip! The best time to visit it is in Spring, I am usually in Istambul in June or July! No comments as I have never been there! But I intend to see it in 2016! Best time to see it is in Spring when the tulips are in bloom! Great place to have Mezzes and drink Raki! It is for us the equivalent of pubs. Just imagine 100 pubs, one next to another and every Turc had his or her favorite one. Bit mostly one goes from one to another. 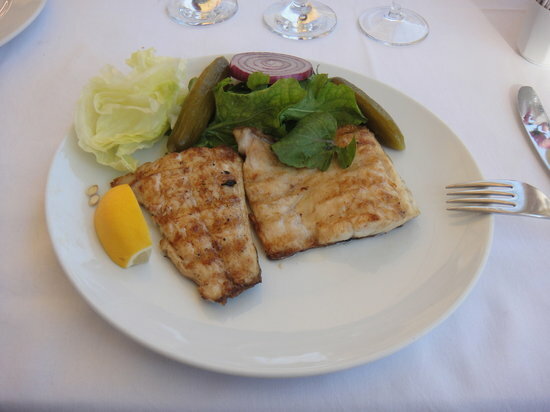 One is famous for his fish, the other one for the fried vegetable and so on. Starts around 9PM, I don't advice for a woman to go alone. Best fish place in the Old Town. It is a great place to go in a big group so everyone can order something else and you can try it all as everything ther su delicious. 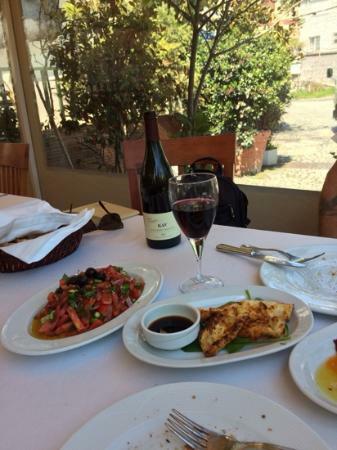 They also have a great selection of Turkish wines, don't forget to order some. I suggest the white wine! Don't miss the Lüfer. The Mezzes are excellent so are the Turkish wines!